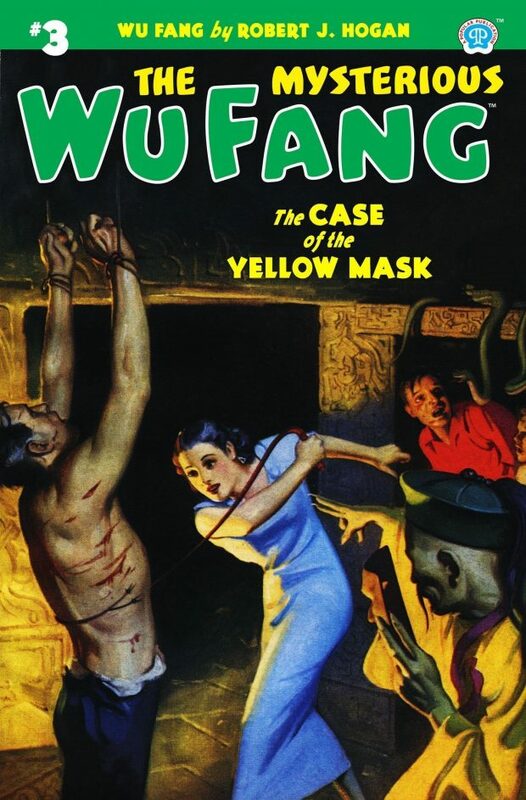 Altus Press releases another two installments in its reprinting of the best of Popular Publications’ classic series: The Mysterious Wu Fang #3: The Case of the Yellow Mask by Robert J. Hogan is another fantastic adventure as secret agent Val Kildare battles the evil of Wu Fang. Dr. 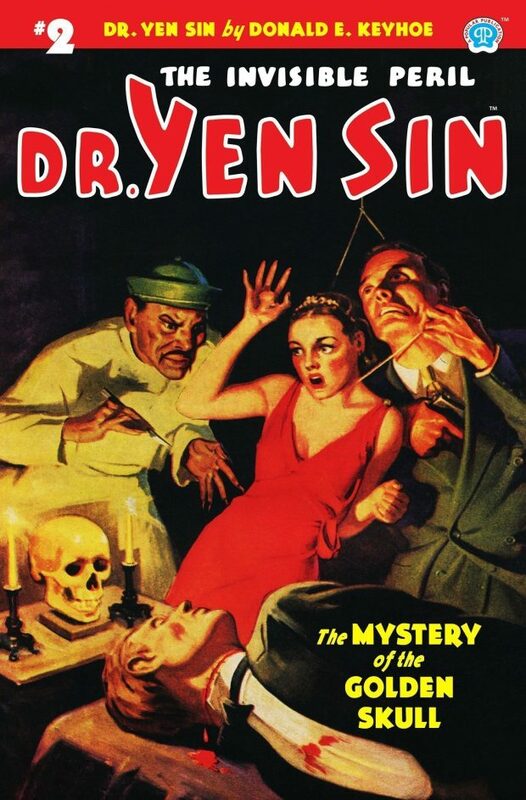 Yen Sin #2: The Mystery of the Golden Skull features another fantastic story in the saga of the evil doctor, as written by Donald E. Keyhoe. Get both at a discount from altuspress.com. A thousand years ago the man with the golden mask had ruled a continent; today, men scoffed at the legend. A golden face with hypnotic powers? Impossible!… But Wu Fang, dragon lord of crime, smiled wisely; he wanted that mask—wanted it enough to blaze a murder trail across half the globe, to weave a death snare which only three white men—Val Kildare, Jerry Hazard and Cappy could dare combat! Moving east from the ration’s capitol at Washington, Dr. Yen Sin, saffron-skinned scourge of the Orient, sets up his hell-base in New York and under the banner of the Golden Skull, once again locks horns with Michael Traile, the Man Who Never Sleeps, and his partner Eric Gordon. What is the ghastly doom he brings with him to turn living men to rainbow-colored dust? Why should the flowers in his corpse garden have their heads removed, only to be sewed on again—backwards—by the surgeon mandarin?